Coloplast prides itself on providing products that make life easier for its many customers. So when they needed to equip their new distribution centre, they wanted a supplier that would make life easier for everyone involved. Due to the intimate and personal nature of the products it supplies, exceptional customer service is of upmost importance to the company. This is one of the reasons the company had chosen Gothenburg as the distribution centre for their Swedish, Finnish and Norwegian customers. The location enabled them to continue offering their customers fast deliveries with orders placed before 2 p.m. being delivered the next day. This level of service meant that the afternoon hours were extremely busy. They needed a solution that enabled them to cope with demand. The Constructor team have a great deal of experience in providing solutions that work in both general purpose situations as well as more specialist areas such as medical and pharmaceutical manufacturing. 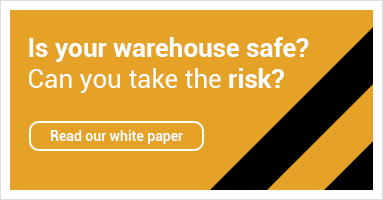 In many cases these manufacturers need to adhere to a more stringent approach to storage to ensure the safety and quality of their products is not compromised. As Coloplast’s range of medical supplies are manufactured in the company’s other facilities, the main need for the Coloplast distribution centre was an effective and efficient storage and retrieval system for the large number of small items they stock. Constructor’s suggestion of one huge mezzanine floor construction of 1800m2 was accepted and installation began without delay. Both levels of the mezzanine are equipped with pick-flow frames in pallet racking. On the top level the pallet locations are used for storage of non-heavy items whereas heavier articles are stored on the ground level. Mezzanine systems are perfect for optimising storage and work areas, both horizontally and vertically. Mezzanine floors and wall partitioning systems provide extra space and offices. Wire-mesh systems and anti-collapse mesh protect the work force. Accessories and add-ons such as lockers and cabinets provide secure storage. “With the mezzanine construction we fully exploit the space on two levels. Also we need less equipment, it is more flexible to re-arrange the lay-out, and we only need one forklift truck and a couple of stackers.” - Ralf Hönig, Warehouse Manager, Coloplast. Coloplast is based in Humlebaek, Denmark. It is a global operation with more than 10,000 employees developing products and services that make life easier for people with very personal and private medical conditions. The business includes Ostomy Care, Continence Care, Wound and Skin Care and Urology Care.